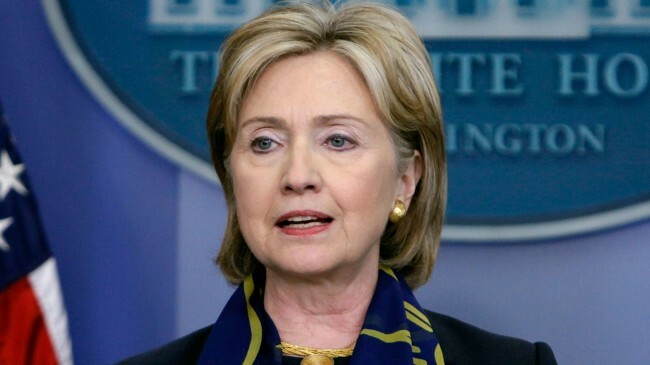 Is Hillary Clinton sincere about her motives as a Presidential candidate? Hillary Clinton has made it her personal goal to gain respect from the African American community. According to a U.S. News & World Report article, Clinton has been targeting South Carolina black radio stations. She has also consistently noted her proud service in the Obama cabinet. Clinton has met with many African American mothers who lost children due to gun violence, as well as conducting interviews with well-known African American celebrities such Roland Martin and April Ryan. Lastly, she has campaigned on her behalf inside of black churches. The first reason not to vote for Clinton, is that her intentions are questionable. Although Clinton’s actions suggests that she strongly cares about the African American community, one must consider whether or not Hillary Clinton is simply trying to gain the African American vote for her own selfish motives. “On the issues black voters care about, Clinton has nothing but over cautious rhetoric to offer. She is taking black voters for granted. Judging by the response to Killer Mike’s rally in Atlanta, I doubt they’ll let her,” said writer, Raina Lipsitz. Many question what Clinton will do for African Americans if she gets in office. She has told the public her plans, but skeptics are concerned with the amount of effort Clinton will actually put forth for the African American community. When confronted by Black Lives Matter activists, her vague response for the need of policy change was insufficient and didn’t express her personal stance on the issue. A number of African Americans are beginning to see right through her act. “I know a lot of people don’t feel like she’s genuine when she tries to get young black women’s vote, and they feel like she tries too hard,” said sophomore, Nia Woolery, a strategic communications major from Chicago. For example, Hillary has been seen doing the “Dab” and “Nae Nae” dance moves on Ellen and agreeing that too many black males are incarcerated over small crimes. If Clinton lied about all those things, then she will likely lie while in office. She is forcing herself into the good graces of the black community and is just telling African Americans what they want to hear. Her character has been questionable too many times in the past and Americans should take that into account before they vote. Although Hillary Clinton’s generosity is under question, a few people have different concerns such as the fact that if she is elected she will be the first female president.